These delicious Bari Life Pizza Crunch Protein Chips are a healthy snack packed protein and the pizza flavor we all love and enjoy! 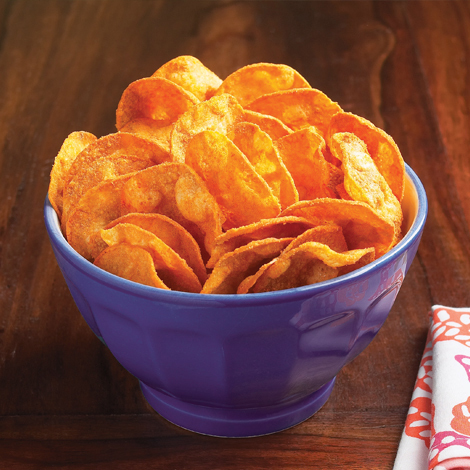 And the greatest part is that you don’t have to worry about eating too many chips because you can eat the whole bag! SKU: Chip 7 Pack-Pizza Categories: Protein Food, Chips Tags: Best Sellers, Ready to Enjoy! Bari Life Pizza Crunch Protein Chips are sold in increments of 7 bags. Of all the snack foods offered here these were my favorite. I enjoyed all the chips but this flavor specifically seemed to be packed with the most flavor. I highly recommend these. These chips are AWESOME!!! Pizza flavor in my opinion are the best but BBQ is great too. Trying the ranch because BBQ was on back order. Snack to hold you over. Crunchy/Salty, yummy!!! I definitely love these. Good crunch and wonderful pizza flavor. I think it would be excellent to eat with a some kind of bean or hamburger dip too…If you could find a healthier version of it. Haven’t tried that yet. Loved these! Satisfies the need for something crunchy..